← Kitchen Upgrade: What’s old is new and what’s new is old. 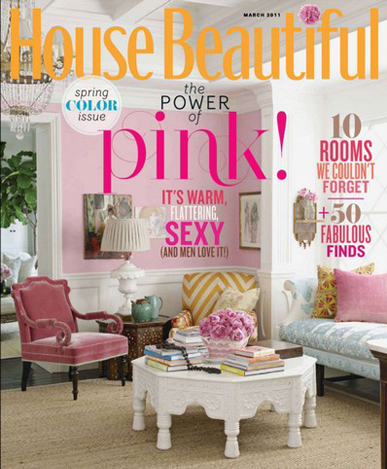 I received my March Issue of House Beautiful last week. Their “Color Issue” follows Pantone’s 2011 Color of the Year, which is a pink named Honeysuckle. Why do I care? Mostly I don’t. My design work tends toward classic. 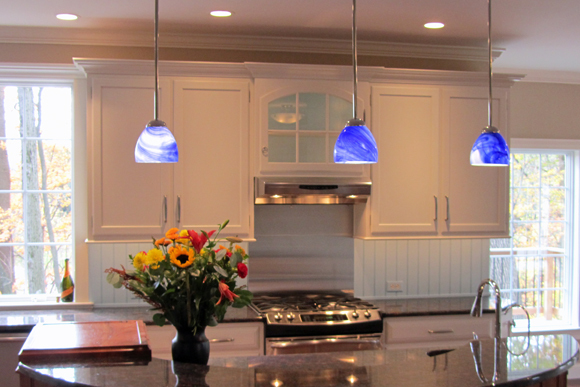 I work with clients to create rooms and homes that are not easily dated. Updating historic design themes, combining traditional American details into what I call Americana. Generally I avoid anything that is trendy because one year’s Hot item, is passé the following year. Having said that I do love color. And I am always looking for ways to add personality, character and drama into my clients home. So if pink is this year’s color, what would I do with it? How about a powder room with a white vanity, white trim work, and a rich warm pink on the walls. Three years from now it is not a big deal to change the paint color if you tire of it. Maybe we pick a khaki for the walls that has a blush undertone and you accessorize with pink. Or, I recently had a client that loved turquoise and in her kitchen we painted the inside of the cabinets and the back-splash, Benjamin Moore, Old Pick-up Truck Blue. That same thing could be done in a historic pink like Benjamin Moore, Queen Anne Pink HC-60. It is your home, enjoy it.